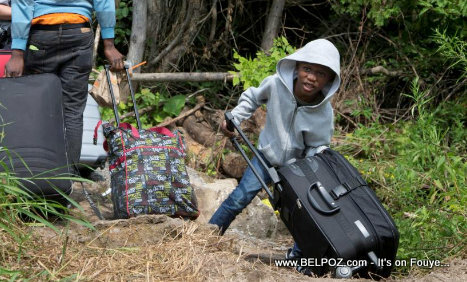 These Haitians asylum seekers in Canada are not getting the answer they were hoping for. Out of 298 cases, only 29 were approved. The others have been asked to leave the country or face deportation, according of a early morning news report Wednesday in a popular Haiti radio station. How sad is this situation. God created a world without boundaries, for all to share and the those that have the resources refuse to share with those who do not. It's situations such as this that show the selfishness in the world. Haitians are by far the hardest workers that I have ever had the honor to work with. They want jobs to support their families in Haiti which is where most of their earned income goes, because there are no jobs in Haiti.